Promenade at Hunter’s Glen Apartments offers superior one, two, and three bedroom apartments in Thornton, CO. Our range of apartment sizes and floor plans allow you to select a lakeside home to fit your lifestyle and furniture. All of our apartments for rent feature high ceilings, open floor plans, oversized closets, and a private balcony or patio. We think you’ll love the recent upgrades to Promenade at Hunter’s Glen Apartments. Each of our homes features a galley-style kitchen with breakfast bar, stainless-steel appliances, and pantry. Learn more about your new apartment home in Thornton. 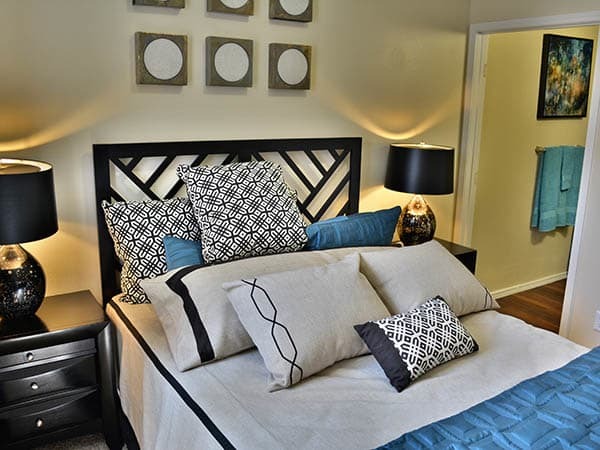 Our one bedroom apartments range from 575 to 750 square feet. Each of these units include walk-in closets, eat-in kitchen, and one bathroom with a garden soaking tub. Larger one bedroom apartment homes feature a separate dining area and extra-large pantry. Two bedroom homes range from 865 to 990 square feet. Larger homes include two master bedrooms with a large walk-in closet and bathroom. Three bedroom apartments are 1,205 square feet and have two bathrooms. These homes are perfect for roommates or a family and have a large living and dining area and extra closets. Each of our apartment homes for rent include an enclosed laundry room with full-size washer and dryer. Select Promenade at Hunter’s Glen Apartment homes have the best amenity in all of Thornton: a view of Hunter’s Glen Lake. Certain apartments also include a fireplace or ceiling fans. 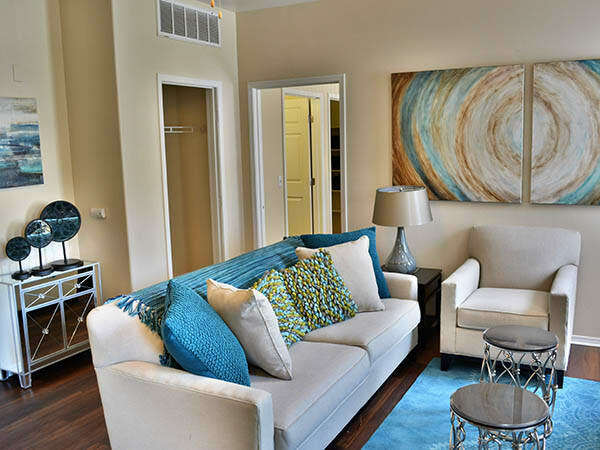 Picture yourself at Promenade at Hunter’s Glen Apartments. View our floor plans and then contact us to schedule a tour today.